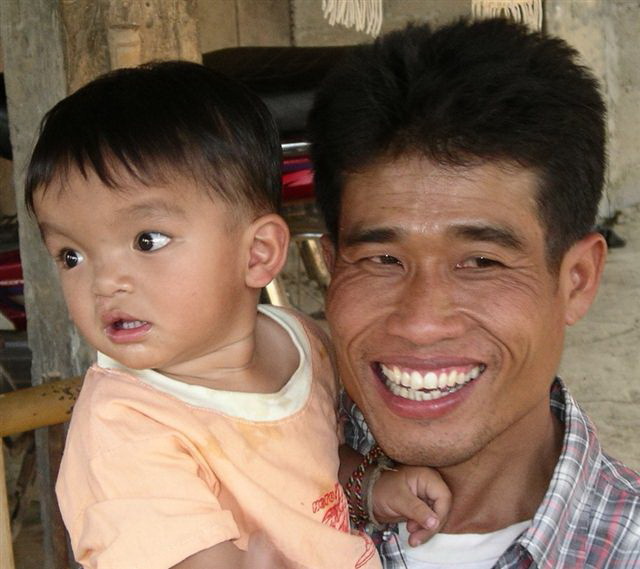 In Thailand, cleft incidence is one of the highest in the world. In northern Thailand, it is estimated that cleft lip affects 1.10 of every 1,000 live births and cleft palate affects 2.49 of every 1,000 live births. Studies conducted by the Tawanchai Cleft Center (TCC) indicate that only 58% of children receive reconstructive surgery in the northern regions of Thailand. With a population of 69 million people, there are only 108 speech pathologists and 86 audiologists. Of those 108 speech pathologists, most live and work in Bangkok with the exception of 6 who are located in the north, and 8 others in the remaining parts of the country. Many children with cleft lip and/or palate who live in north and northeast Thailand do not receive speech therapy due to the shortage of qualified speech-language pathologists. Speech Camps in Northern Thailand is an innovative speech therapy program for Thai children born with cleft lip and palate. The Camps are a short-term solution for children living in northern Thailand, where there is a lack of trained speech language pathologists and speech development services. Launched in late 2012, Speech Camps in Northern Thailand is a year-long project piloted by Smile Train and Transforming Faces, in partnership with TCC at Khon Kaen University and the Northern Women’s Development Foundation (NWDF). TCC and NWDF have been unofficially collaborating together since 2009 on joint capacity building exchanges. Both organizations have also provided training opportunities for Laotian medical staff at Bokeo Provincial Hospital, located on the Thai and Laotian border. This project is a collaborative effort–jointly sponsored by Smile Train and Transforming Faces–to pool local expertise and use resources from both organizations more effectively. This collaboration will allow us to treat as many cleft patients as possible. Implement an intensive speech training camp for 18 children and 18 family members in northern Thailand. Carry out 5 follow up camps and regular patient monitoring. Train 6 para-professionals to work with patients and their families in a community-based speech rehabilitation model. Develop methods and protocols for speech camps to be replicated in other South East Asian countries such as Laos and Myanmar. Upon successful completion of the project in Thailand, Smile Train and Transforming Faces hope to explore expanding speech camps to other regions in South East Asia and other developing countries that have little or no speech therapy resources for cleft patients. Stay tuned for more information about our Speech Camps!